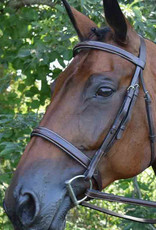 Beautifully strong and supple, the Black Oak Spruce bridle features white fancy stitching and elegant square raising on nose and browband. 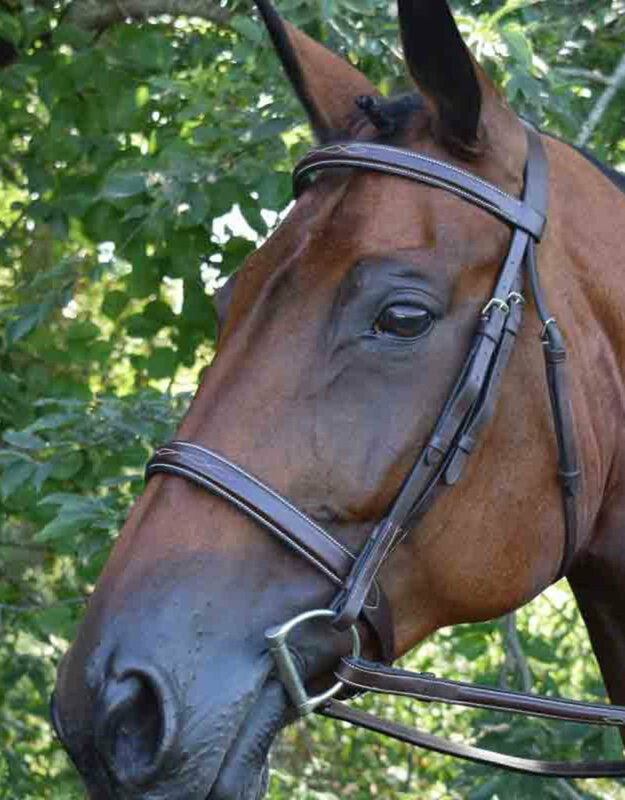 This classically styled bridle comes complete with fancy stitched, raised, laced reins. 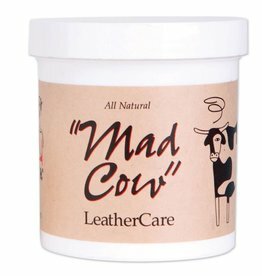 Comes with 5/8" fancy stitched, square raised reins.